Win a $50 "Lovesick" Prize Pack! 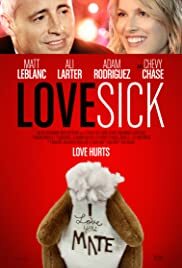 Lovesick is the comic tale of Charlie Darby (Matt LeBlanc), a man who has everything going for him: a great job as an elementary school principal, supportive friends and a wonderful life. The one thing that Charlie doesn't have is love because every time he starts to fall for a girl, his brain chemistry changes and he goes clinically insane. When he meets Molly Kingston (Ali Larter), a former dancer who just might be his perfect match, Charlie is confronted with the consequences of his condition. With the help of his friend Jason (Adam Rodriguez) and the often misguided advice from his wacky neighbor Lester (Chevy Chase), Charlie must find a way to overcome his psychosis to claim his chance at true love. 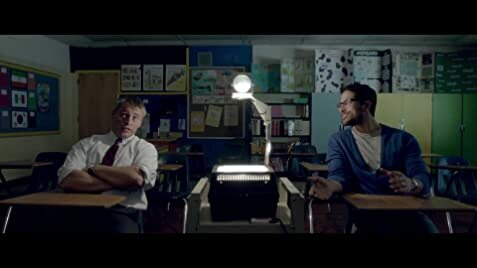 I watched this film honestly just for Matt L's acting and honestly I was suprised that this film was actually somewhat funny. There are some stressful situations and some of the messages in the film can be confused but I think its a fun rom-com thats worth a look into.